The following are the top stories in Thursday’s newspapers. 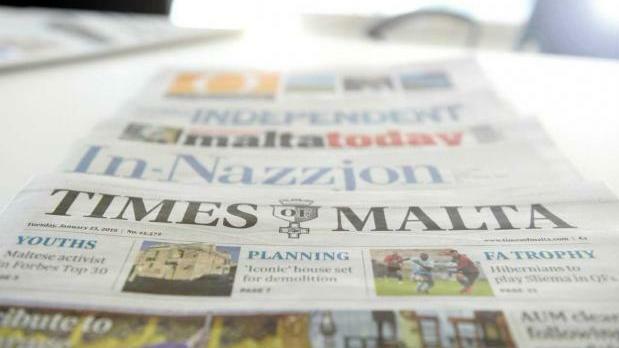 Times of Malta leads with the cyber attack which has crippled Bank of Valletta and says there is no indication of when operations will return to normal. In another story, the newspaper says the Malta police have discussed the tuna racket probe with Europol. L-Orizzont says no money was lost in the BOV cyber attack. The Malta Independent says neither the minister, nor the parliamentary secretary, had been contacted, directly or indirectly, by the Spanish tuna kingpin. In-Nazzjon quotes PN leader Adrian Delia saying that to have a roof over one’s head should be a right and not a gift that the government chose to give.